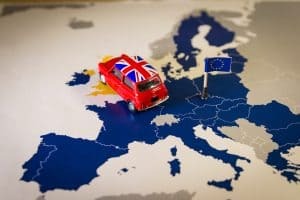 The automotive industry could suffer serious implications if Britain left the European Union without a deal in place, according to new research carried out by the Society of Motor Manufacturers and Traders (SMMT). A survey carried out by the organisation and presented at its 102nd annual dinner found that 74 per cent of companies with UK operations believe such a scenario would damage their prospects. Only nine per cent could see anything positive coming out of a no-deal, while more than half reported that their company has already suffered as a result of the economic uncertainty. Indeed, almost a third said investment decisions have had to be cancelled because of Brexit and one in five has lost business as a result. A further half suggested a no-deal may leave them with serious issues when it comes to maintaining their workforce. SMMT chief executive Mike Hawes said seamless trade has always been a key benefit of the EU and warned that a deal is essential if the automotive industry is to avoid falling off a cliff-edge. “We need a deal now, and we need an ambitious deal for the future that guarantees frictionless trade with our most important market – nothing else will do, and we urge all parties to remember what’s at stake,” he added. The SMMT recently published a document detailing what it sees as essential components for a Brexit that would work for the automotive industry, which included ensuring it would still be able to employ people from the EU. It pointed out that there are currently more than 5,000 vacancies, of which many would remain unfilled if restrictions on the free movement of labour are imposed. Ellie Baker, brand manager at Fuel Card Services, comments: “The automotive sector employs around 856,000 people and 80 per cent of the cars that roll off its production lines are bound for export, mostly to the EU.